While some of you may still be ruminating on the perfect arrangement for your blocks, or working on sewing them all together, I’m back today to show you how I did my borders. Now, borders are completely optional, but I decided to add them to mine to both make the quilt a bit larger, and to put a little more negative space on the surface to make the uneven arrangement float a little. 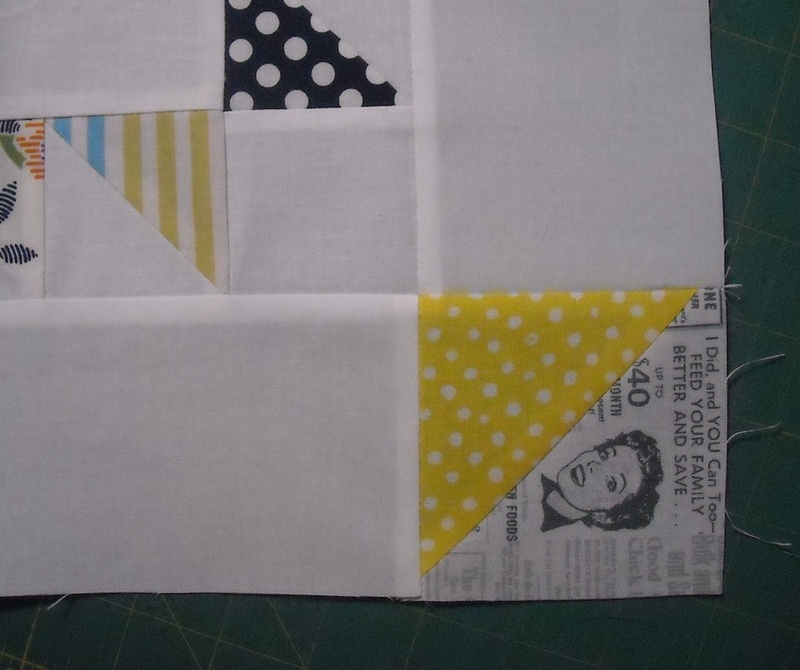 If you decide to add borders, you can do yours like I’m doing, or you can change it up to suit yourself — make them wider, make them plain, piece them from scraps, whatever you want — it’s your quilt, after all! 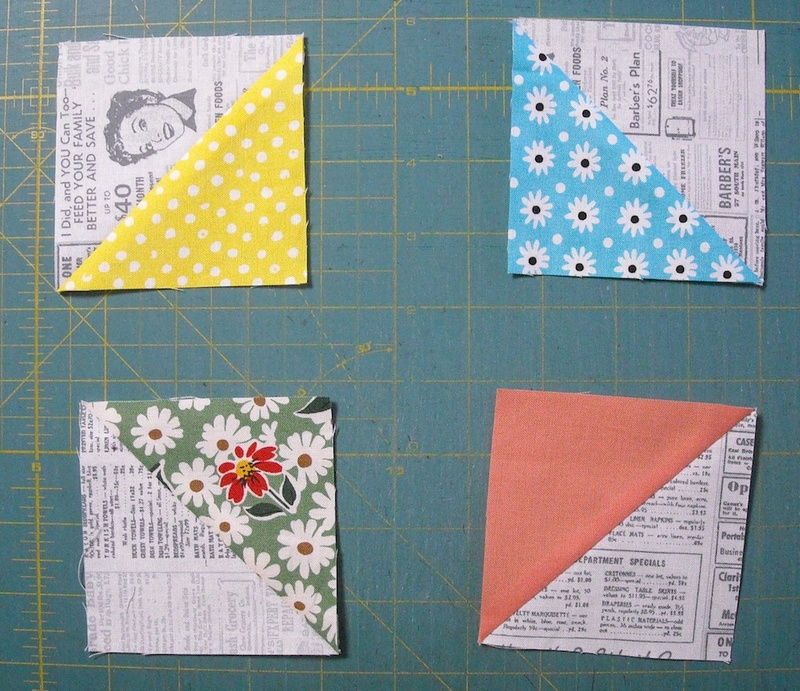 I had these leftover units from making my quilt, so I decided to use them up by placing them in the corners. These units are 3″ Finished units to go with my 3″ finished border strips. First, I measured my quilt from top to bottom right down the middle (not along an edge). It measured 60 1/2″. 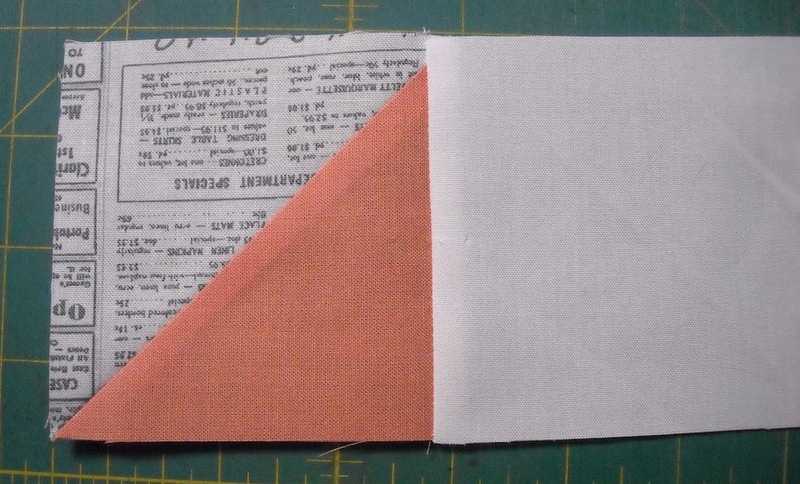 I sewed three of my border strips together, then from that longer strip, I cut two lengths 60 1/2″. Since I’m using the triangle units in the corners, the strips for the top and bottom will be the same as the width of the quilt without the side borders added on, so I went ahead and measured my quilt across the width — it measured 50 1/2″. 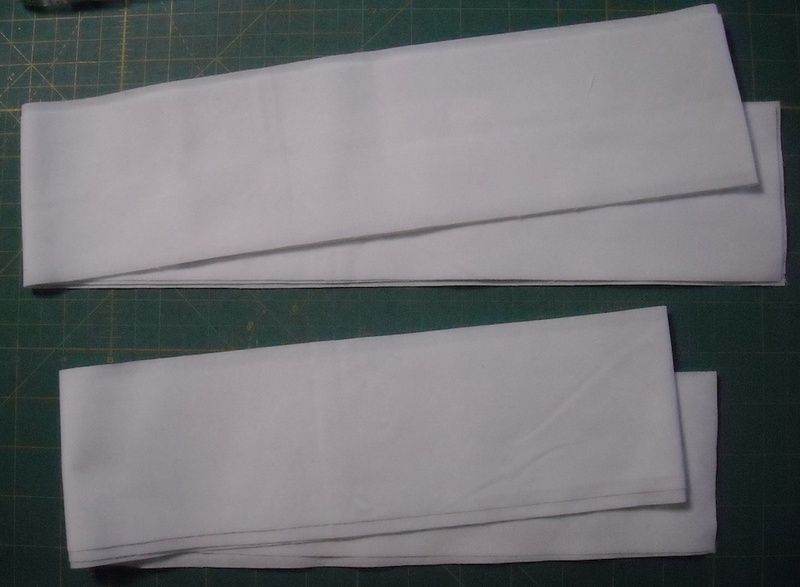 I sewed three more border strips together, then from that longer strip, I cut two lengths 50 1/2″. Now all my strips are ready. Locate the center point of one long side of the quilt top, and the center point of one long border strip. Match them up, right sides together, and pin. 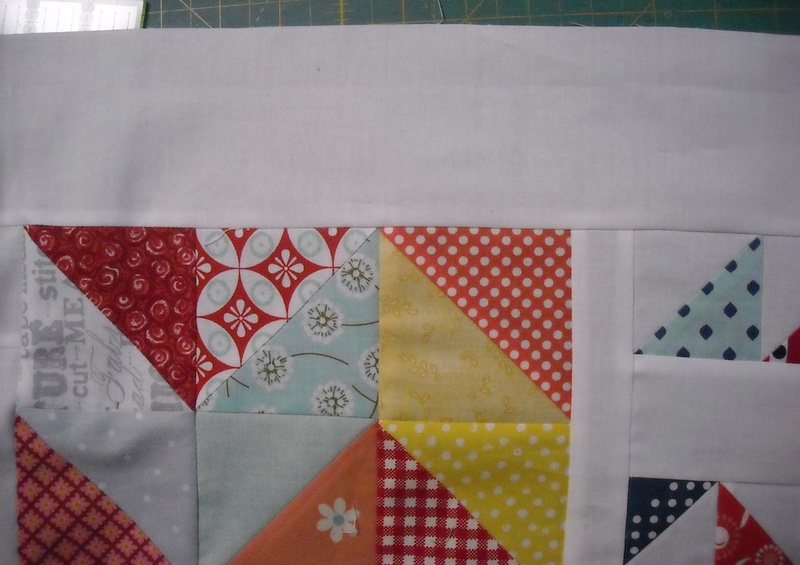 Then pin the end of the strip even with the end of the quilt top. Place pins in between until you have the border strip securely pinned to the quilt top, then do the same for the other half of the border strip. First pin the end, then fill in with pins in between the end and the middle. 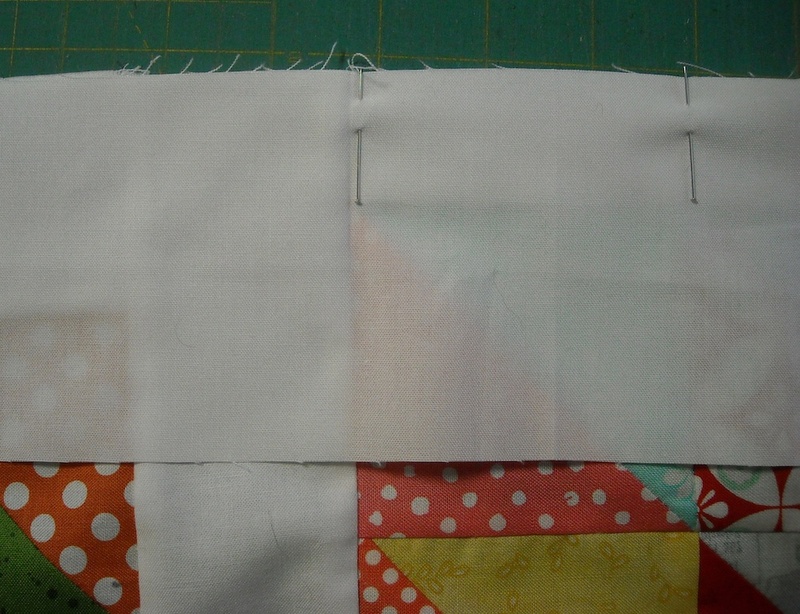 Sew the strip to the quilt top, and press the seam toward the strip. Repeat for the other long side of the quilt. Now you’re ready to add the top and bottom borders. 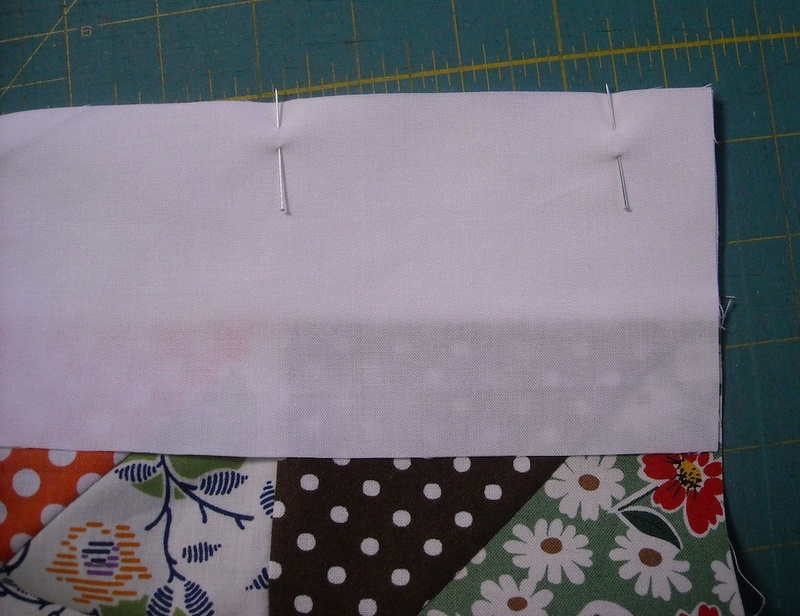 Sew a triangle unit to each end of the short strips, pressing the seam toward the strip. Again matching up the center points of the quilt top and the strip, pin a border strip to the top of the quilt, and sew it on. Press the seam toward the strip. Repeat with the final border strip on the bottom of the quilt, and you’re all finished! It’s time to quilt your quilt! 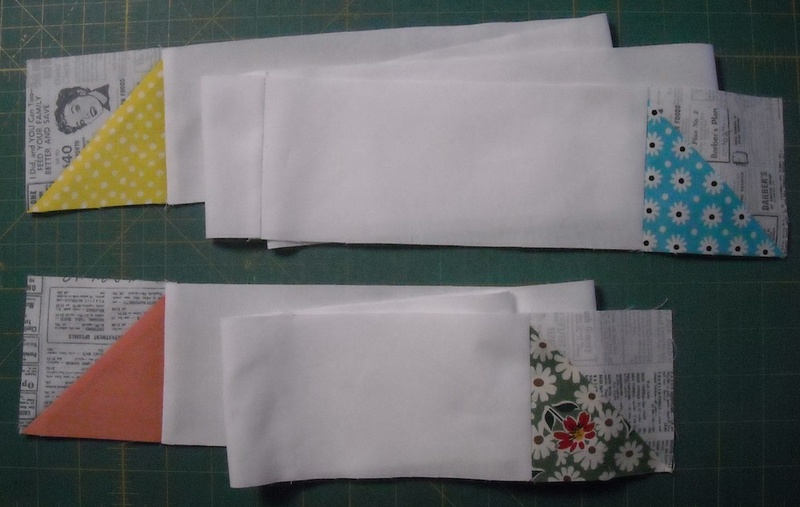 If you need to purchase backing, and you made your quilt the same size as mine (56″ x 66″), then you will need 1 3/4 yards of 90″ or 108″ wide backing fabric, OR 3 5/8 yards of 45″ wide fabric to piece a backing from. If you made your quilt a different size, then you’ll need to measure your quilt to determine how much backing it will require. 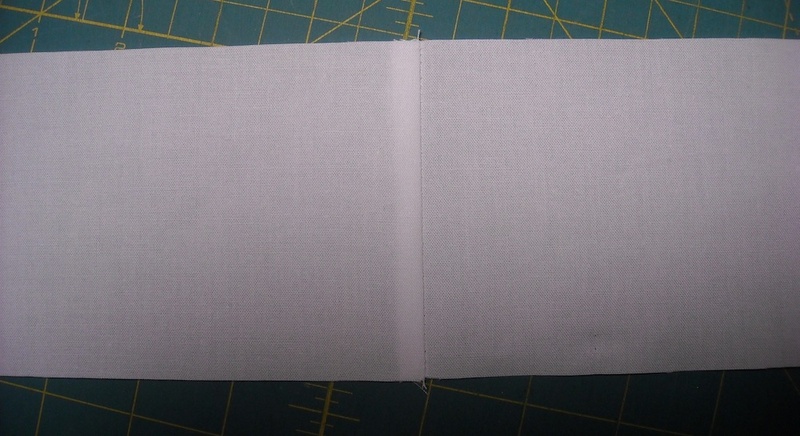 I used a scrappy binding on my quilt, but if you’d like to make your binding from only one fabric, it will take 1/2 yard to make the binding if your quilt is the same size as mine. You’ll need more if you made your quilt bigger. I’ll be back on Monday to show you how I quilted my quilt, and to show you how I made my scrappy binding! We’re so close to finished!